AlexxaCasas offers a variety of private houses in the main tourist destinations of the capital and the rest of the cities of the country. Copy of your Flight confirmed. Once this information has been obtained, we will send you the address of the private home in a Confirmed Reservation voucher that must be delivered to the host arriving at the accommodation. For reservations less than one month in advance. Payment is made directly to the host upon arrival at the accommodation. Reservations are accepted directly from Cuba with a relative. Deposit of the first night in advance to our AIS Card. For reservations up to 3 months in advance. The deposit is made through Sendvalu platform directly in the local currency CUC, the rest of the payment in cash upon arrival at the private home. The payment is safe and can be made quickly and without complications, from anywhere in the world. For frequent travelers of the Airbnb platform, we offer you the most requested accommodations of our agency. You can make immediate reservations or up to 6 months in advance. We maintain updated calendars at all times. When you arrive at the airport “José Martí” in Havana or another destination you will receive a taxi with a request (Poster with your name) that will take you directly to the accommodation you booked, the service is paid directly to the taxi driver in cash CUC. It´s recommended to travelers to change the money to the CUC Local Currency at the airport or bank on the way, before arriving at the accommodations, to pay for the services. All the details and photos of the private houses are described in each page of the accommodations we work, with fidelity in them. We do not accept visits to the properties in any case before booking; we only manage rentals per night, on a holiday basis. AlexxaCasas is a professional agency where our goal is for the client to feel at home and enjoy a happy stay in the private homes we manage. It was never easier to book in Cuba, enjoy your unforgettable stay with AlexxaCasas. You can help us improve by commenting on your experience by booking with our agency through our official Facebook account or directly on this page. Purely in confidence I made the payment (in full) and expected the best. I am glad that I went with her as Yausimi not only organized the rental house she also arranged our pick up at the airport and was waiting to welcome us personally into the house. She is a young trustworthy lady who is so eager to genuinely help her clients and ensure a wonderful experience. We are planning a second trip to visit the eastern side of Cuba and once again we will be working with AlexxaCasas. I am an extremely satisfied client and would recommend this agency to my family and friends. 4 amigos y yo fuimos a Cuba en Junio de este año y todo salió perfecto. 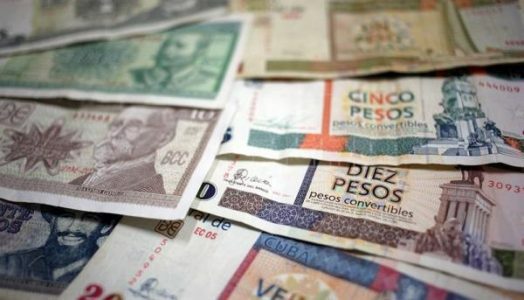 Gracias a la ayuda de Yausimí pudimos escoger las casas que más se adaptaban a nuestras necesidades (visitamos varias ciudades) y el método de pago es fiable y sin peros. 100% recomendable.